The University of Nottingham has taken the extraordinary decision to wind down and close the profitable and over-subscribed BA (Hons) Creative and Professional Writing course (CPW). This closure follows that of two other honours BA courses in Humanities and Fine Arts. None of the reasons given so far by the University explain the decision. Though we (current and former students) understand and agree that the course is wrongly housed in the School of Education, we are puzzled as to why it has not been moved elsewhere given there are options such as the School of English or the Department of Culture, Film and Media. One reason the University gives for closure is staff changes. The course leader has moved to another university, but she gave six months notice and no attempt was made to recruit a replacement. Here’s a thing, though. The other staff remain in place and, if employed for more hours, could run it competently and creatively, as they were doing before the now departed leader was appointed. In the absence of an “Ah yes, that makes sense” explanation, there is outrage and indignation about the closure flying around social and other media. The current students are unnerved and have been treated badly. They were sent a patronising ‘pastoral’ missive about disappointment, thankfully of such length most would not read it. UCAS applicants for 2015 have been told they need to look for something else, somewhere else. A verb comes to mind – devalue. Axing under such circumstances and devoid of rationality devalues the degree itself, as though the university were saying the course has not come up to a perceived standard of something or another, away with it. In turn, that devalues the achievement of current and former students and their perception of the value others might place on their academic achievement, perhaps even employability. For the last three years a student from CPW has won the University Prize for highest marks in an undergraduate degree course within the faculty. And what about the course tutors? The university employs most of them on an hourly basis rather than creating proper part or full-time posts. They are not paid for all the extra hours they give generously to conversations with students before or after class and in email correspondence. They are not employed far enough in advance of a module’s commencement to provide material for reformatting within the University for disabled students such as myself. Unfailingly they did this in their own, unpaid time, for which I am extremely grateful. In effect the tutors are workers on zero hours contracts, trying to work out whether they will or won’t be asked to teach enough to earn a living, should or shouldn’t take up work elsewhere in case the call doesn’t come. 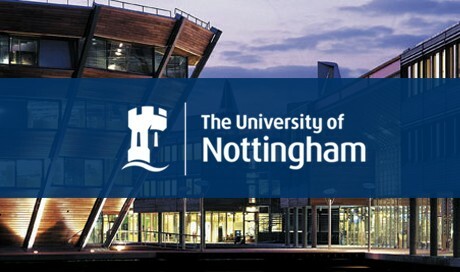 The University is fully supportive of Nottingham’s current bid to become a UNESCO City of Literature. The idea for which came from a graduate of the course, Pippa Hennessy, and extends Stephen Lowe’s idea of Nottingham becoming a City of Letters. Pippa is now the Development Director of the thriving Nottingham Writers’ Studio in a city and locale steeped in Bryon, Lawrence, Sillitoe and contemporary writers such as Jon McGregor, Nicola Monaghan/Valentine, Alison Moore, Amanda Whittington, Michael Eaton and many others. The arts are not a luxury. They are a crucial resource that we cannot afford to lose. It seems the arts are being devalued by the day, along with life-long learning and education for education’s sake. Substitute Creative and Professional writing for Fine Arts in David Ainley’s excellent article, DIScontinutation about the closure of the Fine Arts course and be worried.